CHITWAN, Dec. 27, 2014 - Photo taken on Dec. 27, 2014 shows elephants eating fruits and other foods during the Elephant Picnic at Chitwan, Nepal. 127 elephants participated in the Elephant Festival which was organized by Regional Hotel Association of Chitwan. 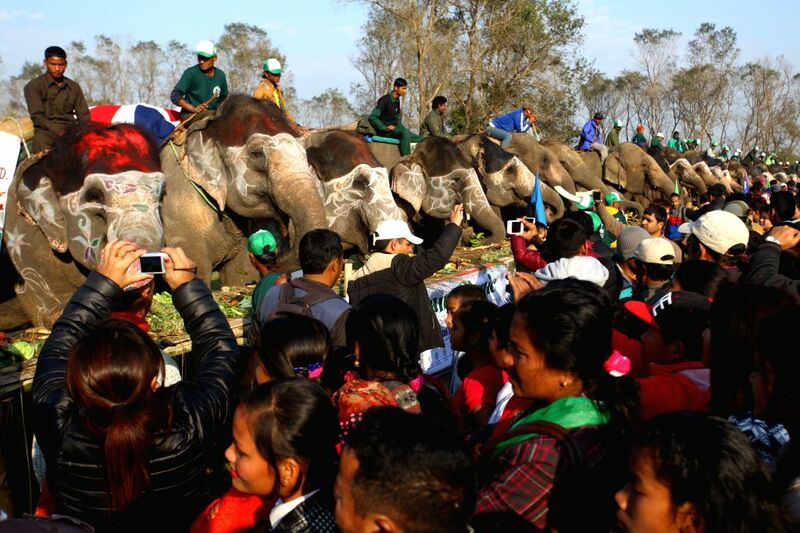 People watch the elephants eating fruits and other foods during the Elephant Picnic at Chitwan, Nepal, Dec. 27, 2014. 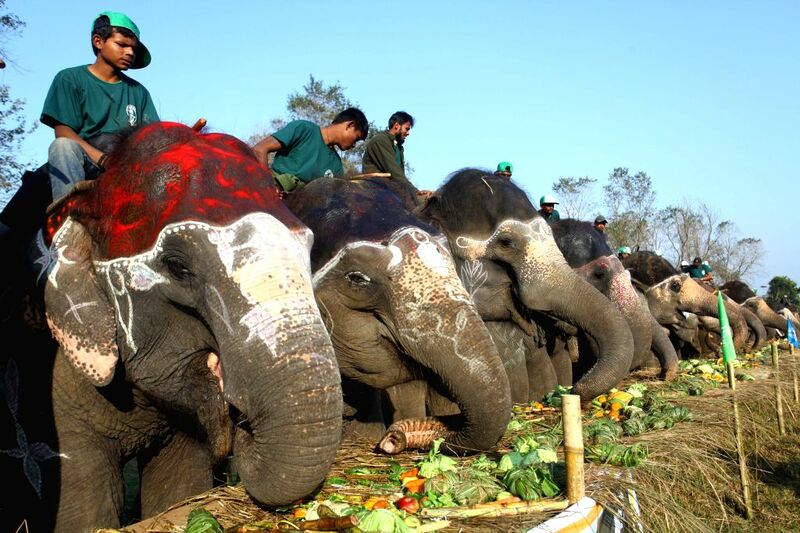 127 elephants participated in the Elephant Festival which was organized by Regional Hotel Association of Chitwan.